In 2013 the Jones family moved to Helsinki to plant a church. 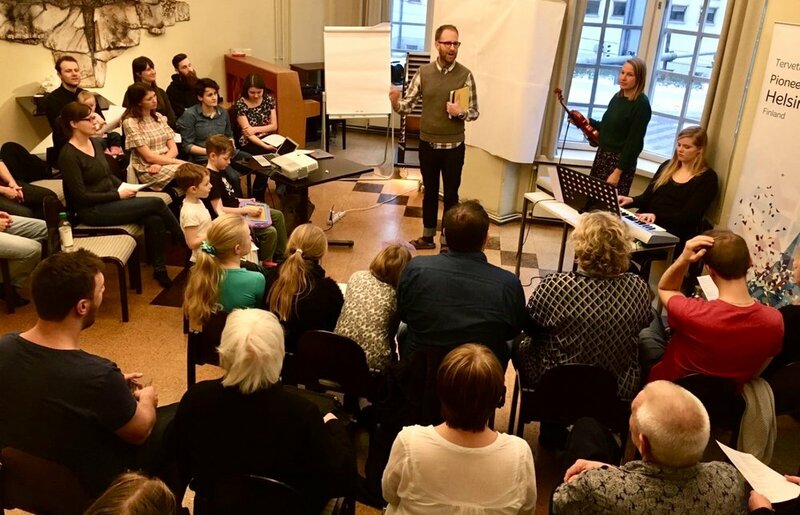 Today the church plant, Risen Light Helsinki, is made up of families, couples and single people who live, work and study in and around the capital city. We are amazed at how much God has done since we first got started. One of our key values as a church is being family. Doing life together and having fun is something we prize. God has spoken to us about being known in the city for the presence of God and for worship. This is something we are excited to already be walking into but are expectant for much more. God has gathered us here for a significant purpose, we want to share with others the beauty and wonder of knowing the risen Lord Jesus, the Light of the World. We are starting to see significant doors open for mission as we find ways to serve our city. Why not consider coming to be a part of this incredible story here in Helsinki? We’ve received prophetic words about being known in the city for worship and the presence of God. Please pray this into further fruition. For fruitfulness as we continue to take a proactive step towards mission in the city: for our language class and small groups which are more mission focused and meeting in cafes and bars around the city of Helsinki. That we can transition well from being a pioneering family to a church with growing leaders and a diversity of gifting.